Don’t let the unpredictable weather bring you down! Sip on the rich blend of chocolate and cinnamon that’s perfect for the season. 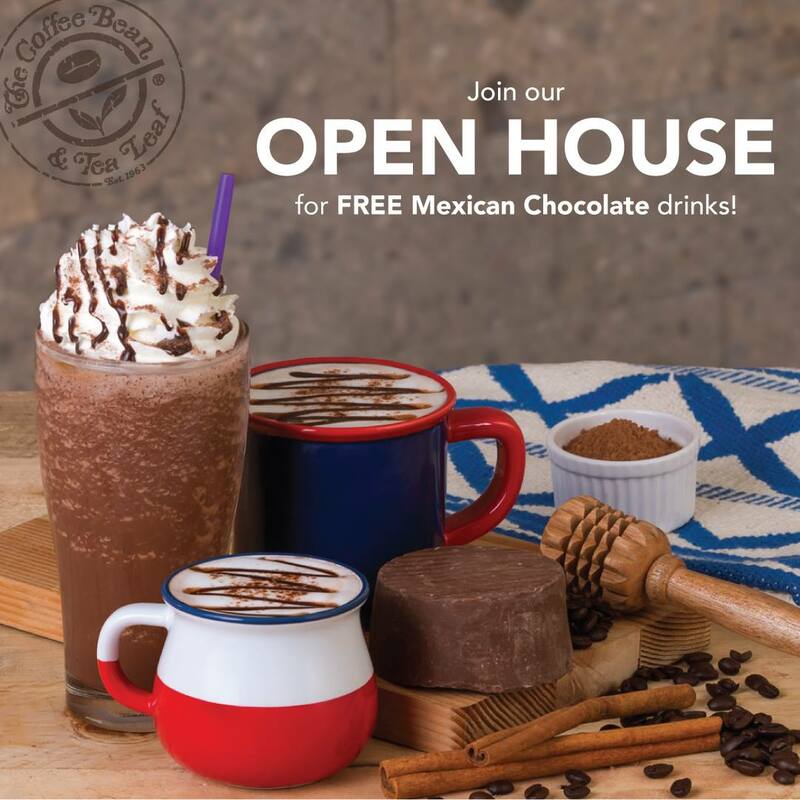 Join us in our Open House on Sunday, July 9, and be one of the first to taste our newest drinks, Mexican Hot Chocolate, Mexican Chocolate Latte, and Mexican Chocolate Ice Blended®, for FREE! Offer valid on July 9, 2017, Sunday at any The Coffee Bean & Tea Leaf® store in the Philippines, except DLSU Henry Sy Library, The Enterprise Center, and 26th St. Bistro stores. 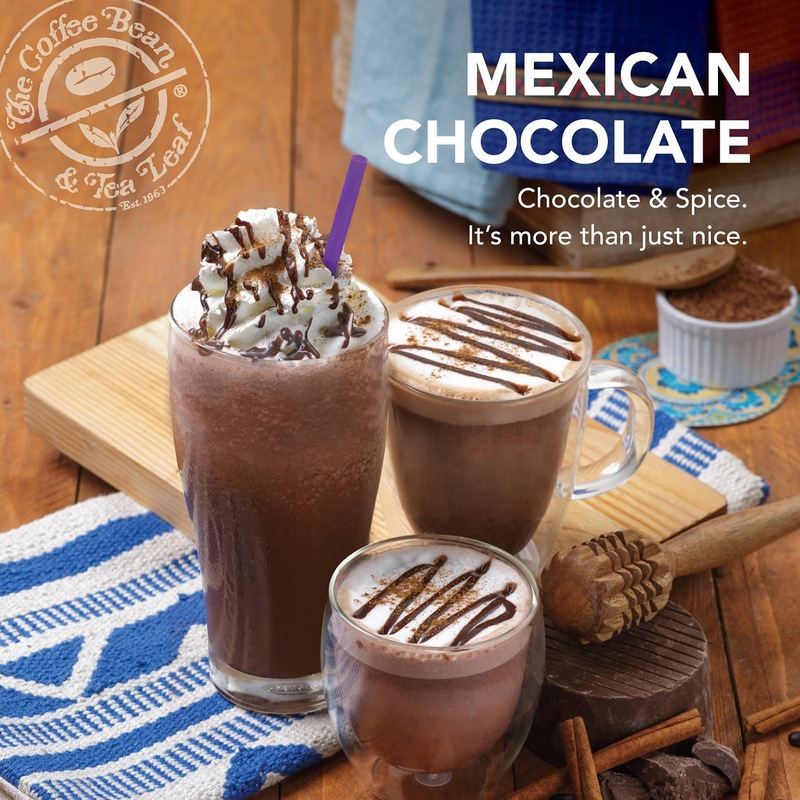 You may avail only one (1) SML Mexican Chocolate Latte, one (1) SML Mexican Hot Chocolate or one (1) REG Mexican Chocolate Ice Blended® drink.